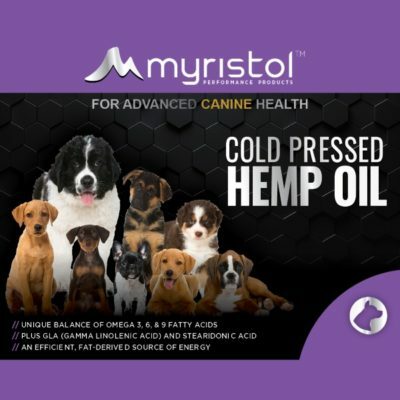 Myristol canine supplements have been specially formulated as an effective broad-spectrum supplement to support your dog’s joint health and while it can help restore movement and flexibility. It can also play an important prophylactic role in preventing further joint deterioration. 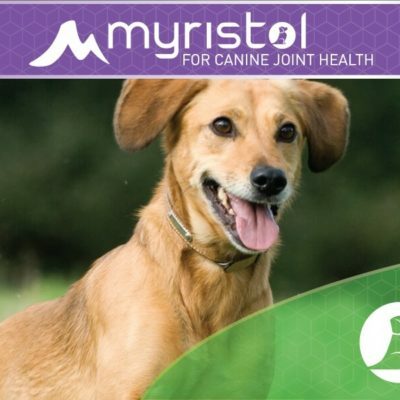 A program of diet and exercise and a high-quality supplement such as Myristol can help keep joint deterioration at bay, especially in larger breeds prone to arthritis such as German Shepherds, Golden and Labrador Retrievers, Mastiffs and Great Danes. Myristol joint and health supplements for horses can help bring back freedom of movement and an improved quality of life. 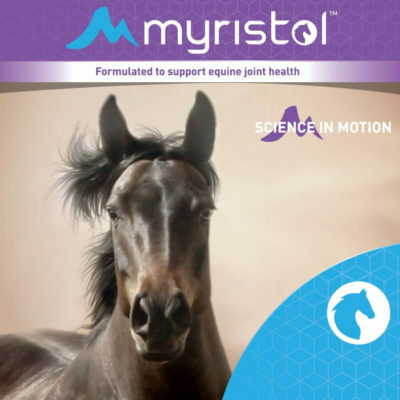 Whether your horse is an equine athlete, subjected to intense pressure on the joints during competition, or a beloved companion, consider prophylactic use of Myristol to provide extra care and support for the entire equine joint structure. 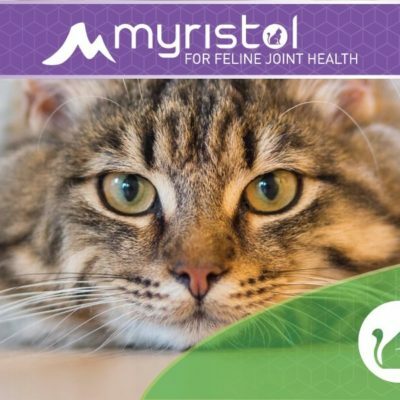 Myristol feline joint and health supplement provides a broad spectrum approach to joint health, which means it combines all of the most effective ingredients into a palatable powder you can give your cat every day. As cats get older, they are prone to problems of the joints that may affect their quality of life. Leaps that were once effortless become impossible, and even climbing stairs becomes an obvious chore. For heavy or overweight cats, Myristol can have a prophylactic effect, protecting cats’ joints as they age. 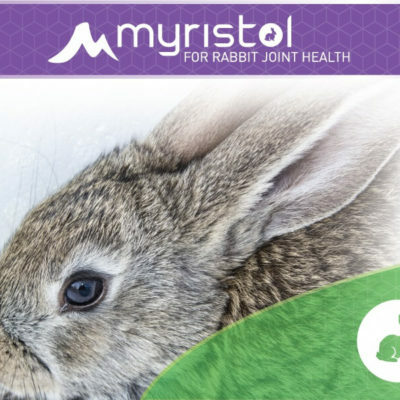 Myristols’ joint and health supplements for rabbits are proven to be beneficial in helping improve comfort and mobility in affected rabbits, and they love the alfalfa pellet formulation. Like many other species, rabbits also develop joint related issues. Signs of discomfort include stiffness and decreased activity, and in some cases a decrease in appetite. 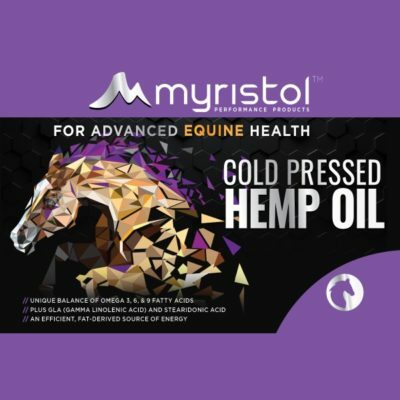 Myristol PRO joint and health supplements for horses contain Promutase 200. Promutase 200 is a blend of the antioxidants superoxide dismutase and catalase. 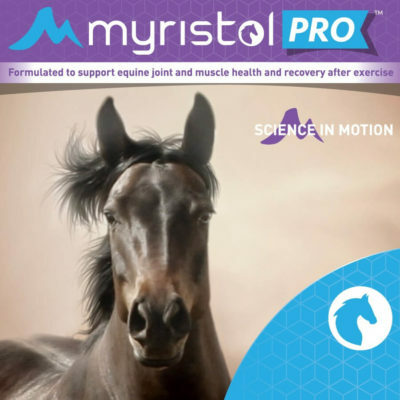 Promutase 200 was added to Myristol to create a product that could both help horses that tend to get muscle sore, or be prone to myositis episodes. It was also added to aid in post-exertion recovery. 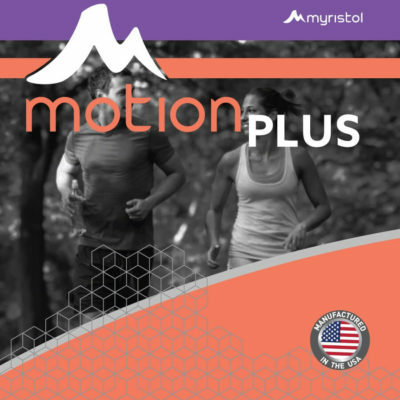 Myristol PRO also contains the same joint health ingredients as Myristol, but cetyl myristoleate levels have been increased from 5000 mg to 6000 mg per serving in Myristol PRO. This makes Myristol PRO the leading equine joint health supplement available regarding levels of cetyl myristoleate. MyristolMAX chews are formulated to support canine joint health. They contain cetyl myristoleate, hydrolyzed collagen, glucosamine and MSM. 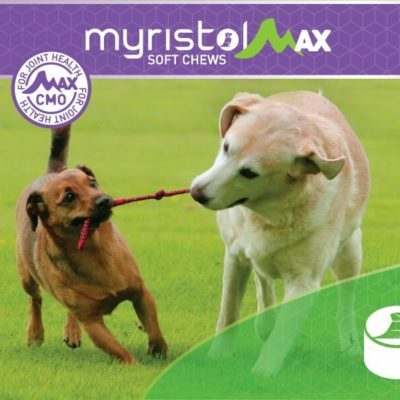 MyristolMAX chews are recommended to comprehensively promote, support and maintain joint health in dogs. Ingredients are of the highest quality and processing available. Join our mailing list to receive the latest news and updates about Myristol products. Since starting the broodmares on Myristol, we have not only minimized the number of OCD surgeries required, but have correct, strong foals that are able to endure what they are bred for.